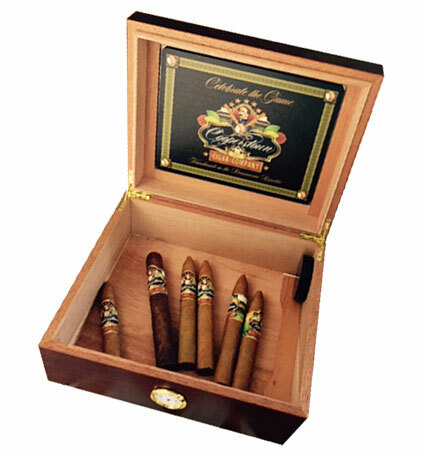 SPANISH CEDAR LINED WOOD HUMIDOR. 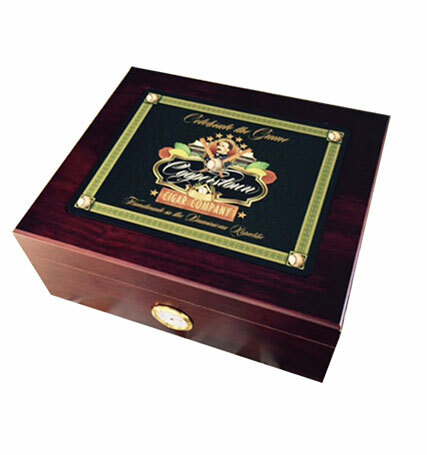 Keep your cigars in peak of perfection with our lush Mahogany finished, Spanish Cedar-lined humidor with built in humidity gauge. Full color inlay of Cooperstown Cigar Company's logo. Perfect gift for the baseball fan, complements all home interiors.